What Makes You Different From Other Virtual Mailbox Providers? We're a Coworking Space / Business Center. Would You Generate Leads For us as Part of the Service? We're a Company Looking for Mailroom Notification Solution. Does Your Solution Offer Such Service? Do We Have to Pay to List our Facility on Your Website? How Do I Offer Virtual Mailbox Services to My Customers? Can I Transfer a User From One Physical Location To Another? We operate more than one location can we transfer customers from one location to another? We'd like to become resellers with 100% white-labeled do you offer whole sale prices? 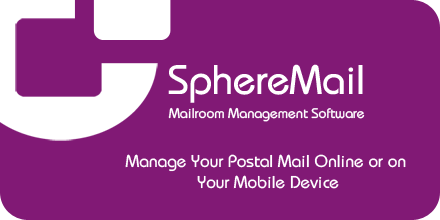 SphereMail is a complete end to end solution automatically allows mail room administrators manage their users' postal mail and parcels. It suites enterprises of any size, coworking spaces, full service offices and business centers.